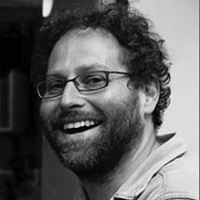 Yigal Schleifer is a freelance journalist who was based in Istanbul between 2002 and 2010, where he worked as correspondent for the Christian Science Monitor and the Eurasianet website. His work has appeared in the New York Times, Washington Post, Times (London), Toronto Star and other publications. He is also one of the authors of the 2009 Fodor’s guide to Turkey. Currently located in Washington, DC, Yigal writes Istanbul Calling, a Turkish news blog.